YUSUFALI: We have made it a Qur'an in Arabic, that ye may be able to understand (and learn wisdom). PICKTHAL: Lo! We have appointed it a Lecture, in Arabic that haply ye may understand. SHAKIR: Surely We have made it an Arabic Quran that you may understand. YUSUFALI: And verily, it is in the Mother of the Book, in Our Presence, high (in dignity), full of wisdom. PICKTHAL: And Lo! in the Source of Decrees, which We possess, it is indeed sublime, decisive. SHAKIR: And surely it is in the original of the Book with Us, truly elevated, full of wisdom. YUSUFALI: Shall We then take away the Message from you and repel (you), for that ye are a people transgressing beyond bounds? PICKTHAL: Shall We utterly ignore you because ye are a wanton folk? SHAKIR: What! shall We then turn away the reminder from you altogether because you are an extravagant people? YUSUFALI: But how many were the prophets We sent amongst the peoples of old? PICKTHAL: How many a prophet did We send among the men of old! SHAKIR: And how many a prophet have We sent among the ancients. YUSUFALI: And never came there a prophet to them but they mocked him. PICKTHAL: And never came there unto them a prophet but they used to mock him. SHAKIR: And there came not to them a prophet but they mocked at him. YUSUFALI: So We destroyed (them)- stronger in power than these;- and (thus) has passed on the Parable of the peoples of old. PICKTHAL: Then We destroyed men mightier than these in prowess; and the example of the men of old hath gone (before them). PICKTHAL: He Who created all the pairs, and appointed for you ships and cattle whereupon ye ride. YUSUFALI: "And to our Lord, surely, must we turn back!" PICKTHAL: And lo! unto our Lord we surely are returning. SHAKIR: And surely to our Lord we must return. YUSUFALI: Yet they attribute to some of His servants a share with Him (in his godhead)! truly is man a blasphemous ingrate avowed! PICKTHAL: And they allot to Him a portion of His bondmen! Lo! man is verily a mere ingrate. SHAKIR: And they assign to Him a part of His servants; man, to be sure, is clearly ungrateful. YUSUFALI: What! has He taken daughters out of what He himself creates, and granted to you sons for choice? PICKTHAL: Or chooseth He daughters of all that He hath created, and honoureth He you with sons? SHAKIR: What! has He taken daughters to Himself of what He Himself creates and chosen you to have sons? YUSUFALI: When news is brought to one of them of (the birth of) what he sets up as a likeness to (Allah) Most Gracious, his face darkens, and he is filled with inward grief! PICKTHAL: And if one of them hath tidings of that which he likeneth to the Beneficent One, his countenance becometh black and he is full of inward rage. SHAKIR: And when one of them is given news of that of which he sets up as a likeness for the Beneficent Allah, his face becomes black and he is full of rage. YUSUFALI: Is then one brought up among trinkets, and unable to give a clear account in a dispute (to be associated with Allah)? PICKTHAL: (Liken they then to Allah) that which is bred up in outward show, and in dispute cannot make itself plain? SHAKIR: What! that which is made in ornaments and which in contention is unable to make plain speech! YUSUFALI: And they make into females angels who themselves serve Allah. Did they witness their creation? Their evidence will be recorded, and they will be called to account! PICKTHAL: And they make the angels, who are the slaves of the Beneficent, females. Did they witness their creation? Their testimony will be recorded and they will be questioned. SHAKIR: And they make the angels-- them who are the servants of the Beneficent Allah-- female (divinities). What! did they witness their creation? Their evidence shall be written down and they shall be questioned. YUSUFALI: ("Ah!") they say, "If it had been the will of (Allah) Most Gracious, we should not have worshipped such (deities)!" Of that they have no knowledge! they do nothing but lie! PICKTHAL: And they say: If the Beneficent One had (so) willed, we should not have worshipped them. They have no knowledge whatsoever of that. They do but guess. SHAKIR: And they say: If the Beneficent Allah had pleased, we should never have worshipped them. They have no knowledge of this; they only lie. YUSUFALI: What! have We given them a Book before this, to which they are holding fast? PICKTHAL: Or have We given them any scripture before (this Qur'an) so that they are holding fast thereto? SHAKIR: Or have We given them a book before it so that they hold fast to it? YUSUFALI: Nay! they say: "We found our fathers following a certain religion, and we do guide ourselves by their footsteps." PICKTHAL: Nay, for they say only: Lo! we found our fathers following a religion, and we are guided by their footprints. SHAKIR: Nay! they say: We found our fathers on a course, and surely we are guided by their footsteps. YUSUFALI: Just in the same way, whenever We sent a Warner before thee to any people, the wealthy ones among them said: "We found our fathers following a certain religion, and we will certainly follow in their footsteps." PICKTHAL: And even so We sent not a warner before thee (Muhammad) into any township but its luxurious ones said: Lo! we found our fathers following a religion, and we are following their footprints. SHAKIR: And thus, We did not send before you any warner in a town, but those who led easy lives in it said: Surely we found our fathers on a course, and surely we are followers of their footsteps. YUSUFALI: He said: "What! Even if I brought you better guidance than that which ye found your fathers following?" They said: "For us, we deny that ye (prophets) are sent (on a mission at all)." PICKTHAL: (And the warner) said: What! Even though I bring you better guidance than that ye found your fathers following? They answered: Lo! in what ye bring we are disbelievers. SHAKIR: (The warner) said: What! even if I bring to you a better guide than that on which you found your fathers? They said: Surely we are unbelievers in that with which you are sent. YUSUFALI: So We exacted retribution from them: now see what was the end of those who rejected (Truth)! PICKTHAL: So We requited them. Then see the nature of the consequence for the rejecters! SHAKIR: So We inflicted retribution on them, then see how was the end of the rejecters. YUSUFALI: "(I worship) only Him Who made me, and He will certainly guide me." PICKTHAL: Save Him Who did create me, for He will surely guide me. SHAKIR: Save Him Who created me, for surely He will guide me. YUSUFALI: And he left it as a Word to endure among those who came after him, that they may turn back (to Allah). PICKTHAL: And he made it a word enduring among his seed, that haply they might return. SHAKIR: And he made it a word to continue in his posterity that they may return. YUSUFALI: Yea, I have given the good things of this life to these (men) and their fathers, until the Truth has come to them, and a messenger making things clear. PICKTHAL: Nay, but I let these and their fathers enjoy life (only) till there should come unto them the Truth and a messenger making plain. SHAKIR: Nay! I gave them and their fathers to enjoy until there came to them the truth and a Messenger making manifest (the truth). YUSUFALI: But when the Truth came to them, they said: "This is sorcery, and we do reject it." PICKTHAL: And now that the Truth hath come unto them they say: This is mere magic, and lo! we are disbelievers therein. SHAKIR: And when there came to them the truth they said: This is magic, and surely we are disbelievers in it. YUSUFALI: Also, they say: "Why is not this Qur'an sent down to some leading man in either of the two (chief) cities?" PICKTHAL: And they say: If only this Qur'an had been revealed to some great man of the two towns? SHAKIR: And they say: Why was not this Quran revealed to a man of importance in the two towns? YUSUFALI: Is it they who would portion out the Mercy of thy Lord? It is We Who portion out between them their livelihood in the life of this world: and We raise some of them above others in ranks, so that some may command work from others. But the Mercy of thy Lord is better than the (wealth) which they amass. PICKTHAL: Is it they who apportion thy Lord's mercy? We have apportioned among them their livelihood in the life of the world, and raised some of them above others in rank that some of them may take labour from others; and the mercy of thy Lord is better than (the wealth) that they amass. SHAKIR: Will they distribute the mercy of your Lord? We distribute among them their livelihood in the life of this world, and We j have exalted some of them above others in degrees, that some of them may take others in subjection; and the mercy of your Lord is better than what they amass. SHAKIR: And were it not that all people had been a single nation, We would certainly have assigned to those who disbelieve in the Beneficent Allah (to make) of silver the roofs of their houses and the stairs by which they ascend. YUSUFALI: And also adornments of gold. But all this were nothing but conveniences of the present life: The Hereafter, in the sight of thy Lord is for the Righteous. PICKTHAL: And ornaments of gold. Yet all that would have been but a provision of the life of the world. And the Hereafter with your Lord would have been for those who keep from evil. SHAKIR: And (other) embellishments of gold; and all this is naught but provision of this world's life, and the hereafter is with your Lord only for those who guard (against evil). YUSUFALI: If anyone withdraws himself from remembrance of (Allah) Most Gracious, We appoint for him an evil one, to be an intimate companion to him. SHAKIR: And whoever turns himself away from the remembrance of the Beneficent Allah, We appoint for him a Shaitan, so he becomes his associate. YUSUFALI: Such (evil ones) really hinder them from the Path, but they think that they are being guided aright! YUSUFALI: At length, when (such a one) comes to Us, he says (to his evil companion): "Would that between me and thee were the distance of East and West!" Ah! evil is the companion (indeed)! PICKTHAL: Till, when he cometh unto Us, he saith (unto his comrade): Ah, would that between me and thee there were the distance of the two horizons - an evil comrade! SHAKIR: Until when he comes to Us, he says: O would that between me and you there were the distance of the East and the West; so evil is the associate! YUSUFALI: When ye have done wrong, it will avail you nothing, that Day, that ye shall be partners in Punishment! PICKTHAL: And it profiteth you not this day, because ye did wrong, that ye will be sharers in the doom. SHAKIR: And since you were unjust, it will not profit you this day that you are sharers in the chastisement. YUSUFALI: Canst thou then make the deaf to hear, or give direction to the blind or to such as (wander) in manifest error? PICKTHAL: Canst thou (Muhammad) make the deaf to hear, or canst thou guide the blind or him who is in error manifest? SHAKIR: What! can you then make the deaf to hear or guide the blind and him who is in clear error? YUSUFALI: Or We shall show thee that (accomplished) which We have promised them: for verily We shall prevail over them. PICKTHAL: Or (if) We show thee that wherewith We threaten them; for lo! We have complete command of them. SHAKIR: Rather We will certainly show you that which We have promised them; for surely We are the possessors of full power over them. YUSUFALI: So hold thou fast to the Revelation sent down to thee; verily thou art on a Straight Way. PICKTHAL: So hold thou fast to that which is inspired in thee. Lo! thou art on a right path. SHAKIR: Therefore hold fast to that which has been revealed to you; surely you are on the right path. 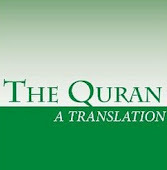 YUSUFALI: The (Qur'an) is indeed the message, for thee and for thy people; and soon shall ye (all) be brought to account. PICKTHAL: And lo! it is in truth a Reminder for thee and for thy folk; and ye will be questioned. SHAKIR: And most surely it is a reminder for you and your people, and you shall soon be questioned. YUSUFALI: And question thou our messengers whom We sent before thee; did We appoint any deities other than (Allah) Most Gracious, to be worshipped? PICKTHAL: And ask those of Our messengers whom We sent before thee: Did We ever appoint gods to be worshipped beside the Beneficent? SHAKIR: And ask those of Our messengers whom We sent before you: Did We ever appoint gods to be worshipped besides the Beneficent Allah? YUSUFALI: We did send Moses aforetime, with Our Signs, to Pharaoh and his Chiefs: He said, "I am a messenger of the Lord of the Worlds." PICKTHAL: And verily We sent Moses with Our revelations unto Pharaoh and his chiefs, and he said: I am a messenger of the Lord of the Worlds. SHAKIR: And certainly We sent Musa with Our communications to Firon and his chiefs, so he said: Surely I am the messenger of the Lord of the worlds. YUSUFALI: But when he came to them with Our Signs, behold they ridiculed them. PICKTHAL: But when he brought them Our tokens, behold! they laughed at them. SHAKIR: But when he came to them with Our signs, lo! they laughed at them. YUSUFALI: We showed them Sign after Sign, each greater than its fellow, and We seized them with Punishment, in order that they might turn (to Us). PICKTHAL: And every token that We showed them was greater than its sister (token), and We grasped them with the torment, that haply they might turn again. SHAKIR: And We did not show them a sign but it was greater than its like, and We overtook them with chastisement that they may turn. YUSUFALI: And they said, "O thou sorcerer! Invoke thy Lord for us according to His covenant with thee; for we shall truly accept guidance." PICKTHAL: And they said: O wizard! Entreat thy Lord for us by the pact that He hath made with thee. Lo! we verily will walk aright. SHAKIR: And they said: O magician! call on your Lord for our sake, as He has made the covenant with you; we shall surely be the followers of the right way. YUSUFALI: But when We removed the Penalty from them, behold, they broke their word. PICKTHAL: But when We eased them of the torment, behold! they broke their word. SHAKIR: But when We removed from them the chastisement, lo! they broke the pledge. YUSUFALI: And Pharaoh proclaimed among his people, saying: "O my people! Does not the dominion of Egypt belong to me, (witness) these streams flowing underneath my (palace)? What! see ye not then? PICKTHAL: And Pharaoh caused a proclamation to be made among his people saying: O my people! Is not mine the sovereignty of Egypt and these rivers flowing under me? Can ye not then discern? SHAKIR: And Firon proclaimed amongst his people: O my people! is not the kingdom of Egypt mine? And these rivers flow beneath me; do you not then see? YUSUFALI: "Am I not better than this (Moses), who is a contemptible wretch and can scarcely express himself clearly? PICKTHAL: I am surely better than this fellow, who is despicable and can hardly make (his meaning) plain! YUSUFALI: "Then why are not gold bracelets bestowed on him, or (why) come (not) with him angels accompanying him in procession?" PICKTHAL: Why, then, have armlets of gold not been set upon him, or angels sent along with him? SHAKIR: But why have not bracelets of gold been put upon him, or why have there not come with him angels as companions? YUSUFALI: Thus did he make fools of his people, and they obeyed him: truly were they a people rebellious (against Allah). PICKTHAL: Thus he persuaded his people to make light (of Moses), and they obeyed him. Lo! they were a wanton folk. SHAKIR: So he incited his people to levity and they obeyed him: surely they were a transgressing people. YUSUFALI: When at length they provoked Us, We exacted retribution from them, and We drowned them all. PICKTHAL: So, when they angered Us, We punished them and drowned them every one. YUSUFALI: And We made them (a people) of the Past and an Example to later ages. PICKTHAL: And We made them a thing past, and an example for those after (them). SHAKIR: And We made them a precedent and example to the later generations. YUSUFALI: When (Jesus) the son of Mary is held up as an example, behold, thy people raise a clamour thereat (in ridicule)! SHAKIR: And when a description of the son of Marium is given, lo! your people raise a clamor thereat. YUSUFALI: And they say, "Are our gods best, or he?" This they set forth to thee, only by way of disputation: yea, they are a contentious people. PICKTHAL: And say: Are our gods better, or is he? They raise not the objection save for argument. Nay! but they are a contentious folk. SHAKIR: And they say: Are our gods better, or is he? They do not set it forth to you save by way of disputation; nay, they are a contentious people. YUSUFALI: He was no more than a servant: We granted Our favour to him, and We made him an example to the Children of Israel. PICKTHAL: He is nothing but a slave on whom We bestowed favour, and We made him a pattern for the Children of Israel. SHAKIR: He was naught but a servant on whom We bestowed favor, and We made him an example for the children of Israel. YUSUFALI: And if it were Our Will, We could make angels from amongst you, succeeding each other on the earth. PICKTHAL: And had We willed We could have set among you angels to be viceroys in the earth. SHAKIR: And if We please, We could make among you angels to be successors in the land. YUSUFALI: And (Jesus) shall be a Sign (for the coming of) the Hour (of Judgment): therefore have no doubt about the (Hour), but follow ye Me: this is a Straight Way. PICKTHAL: And lo! verily there is knowledge of the Hour. So doubt ye not concerning it, but follow Me. This is the right path. SHAKIR: And most surely it is a knowledge of the hour, therefore have no doubt about it and follow me: this is the right path. YUSUFALI: Let not the Evil One hinder you: for he is to you an enemy avowed. PICKTHAL: And let not Satan turn you aside. Lo! he is an open enemy for you. SHAKIR: And let not the Shaitan prevent you; surely he is your j open enemy. YUSUFALI: When Jesus came with Clear Signs, he said: "Now have I come to you with Wisdom, and in order to make clear to you some of the (points) on which ye dispute: therefore fear Allah and obey me. PICKTHAL: When Jesus came with clear proofs (of Allah's Sovereignty), he said: I have come unto you with wisdom, and to make plain some of that concerning which ye differ. So keep your duty to Allah, and obey me. YUSUFALI: "For Allah, He is my Lord and your Lord: so worship ye Him: this is a Straight Way." PICKTHAL: Lo! Allah, He is my Lord and your Lord. So worship Him. This is a right path. YUSUFALI: But sects from among themselves fell into disagreement: then woe to the wrong-doers, from the Penalty of a Grievous Day! PICKTHAL: But the factions among them differed. Then woe unto those who do wrong from the doom of a painful day. SHAKIR: But parties from among them differed, so woe to those who were unjust because of the chastisement of a painful day. YUSUFALI: Do they only wait for the Hour - that it should come on them all of a sudden, while they perceive not? PICKTHAL: Await they aught save the Hour, that it shall come upon them suddenly, when they know not? SHAKIR: Do they wait for aught but the hour, that it should come ! upon them all of a sudden while they do not perceive? YUSUFALI: Friends on that day will be foes, one to another,- except the Righteous. PICKTHAL: Friends on that day will be foes one to another, save those who kept their duty (to Allah). SHAKIR: The friends shall on that day be enemies one to another, except those who guard (against evil). SHAKIR: O My servants! there is no fear for you this day, nor shall you grieve. YUSUFALI: (Being) those who have believed in Our Signs and bowed (their wills to Ours) in Islam. YUSUFALI: Enter ye the Garden, ye and your wives, in (beauty and) rejoicing. PICKTHAL: Enter the Garden, ye and your wives, to be made glad. SHAKIR: Enter the garden, you and your wives; you shall be made happy. YUSUFALI: To them will be passed round, dishes and goblets of gold: there will be there all that the souls could desire, all that their ayes could delight in: and ye shall abide therein (for eye). PICKTHAL: Therein are brought round for them trays of gold and goblets, and therein is all that souls desire and eyes find sweet. And ye are immortal therein. SHAKIR: There shall be sent round to them golden bowls and drinking-cups and therein shall be what their souls yearn after and (wherein) the eyes shall delight, and you shall abide therein. YUSUFALI: Such will be the Garden of which ye are made heirs for your (good) deeds (in life). PICKTHAL: This is the Garden which ye are made to inherit because of what ye used to do. SHAKIR: And this is the garden which you are given as an inheritance on account of what you did. YUSUFALI: Ye shall have therein abundance of fruit, from which ye shall have satisfaction. PICKTHAL: Therein for you is fruit in plenty whence to eat. SHAKIR: For you therein are many fruits of which you shall eat. PICKTHAL: Lo! the guilty are immortal in hell's torment. SHAKIR: Surely the guilty shall abide in the chastisement of hell. YUSUFALI: Nowise will the (Punishment) be lightened for them, and in despair will they be there overwhelmed. PICKTHAL: It is not relaxed for them, and they despair therein. SHAKIR: It shall not be abated from them and they shall therein be despairing. YUSUFALI: Nowise shall We be unjust to them: but it is they who have been unjust themselves. PICKTHAL: We wronged them not, but they it was who did the wrong. SHAKIR: And We are not unjust to them, but they themselves were unjust. YUSUFALI: They will cry: "O Malik! would that thy Lord put an end to us!" He will say, "Nay, but ye shall abide!" PICKTHAL: And they cry: O master! Let thy Lord make an end of us. He saith: Lo! here ye must remain. SHAKIR: And they shall call out: O Malik! let your Lord make an end of us. He shall say: Surely you shall tarry. YUSUFALI: Verily We have brought the Truth to you: but most of you have a hatred for Truth. PICKTHAL: We verily brought the Truth unto you, but ye were, most of you, averse to the Truth. SHAKIR: Certainly We have brought you the truth, but most of you are averse to the truth. YUSUFALI: What! have they settled some plan (among themselves)? But it is We Who settle things. PICKTHAL: Or do they determine any thing (against the Prophet)? Lo! We (also) are determining. SHAKIR: Or have they settled an affair? Then surely We are the settlers. YUSUFALI: Or do they think that We hear not their secrets and their private counsels? Indeed (We do), and Our messengers are by them, to record. PICKTHAL: Or deem they that We cannot hear their secret thoughts and private confidences? Nay, but Our envoys, present with them, do record. SHAKIR: Or do they think that We do not hear what they conceal and their secret discourses? Aye! and Our messengers with them write down. YUSUFALI: Say: "If (Allah) Most Gracious had a son, I would be the first to worship." PICKTHAL: Say (O Muhammad): If the Beneficent One hath a son, then, I shall be first among the worshippers. (But there is no son). SHAKIR: Say: If the Beneficent Allah has a son, I am the foremost of those who serve. YUSUFALI: Glory to the Lord of the heavens and the earth, the Lord of the Throne (of Authority)! (He is free) from the things they attribute (to him)! PICKTHAL: Glorified be the Lord of the heavens and the earth, the Lord of the Throne, from that which they ascribe (unto Him)! SHAKIR: Glory to the Lord of the heavens and the earth, the Lord of power, from what they describe. YUSUFALI: So leave them to babble and play (with vanities) until they meet that Day of theirs, which they have been promised. PICKTHAL: So let them flounder (in their talk) and play until they meet the Day which they are promised. SHAKIR: So leave them plunging into false discourses and sporting until they meet their day which they are threatened with. YUSUFALI: It is He Who is Allah in heaven and Allah on earth; and He is full of Wisdom and Knowledge. PICKTHAL: And He it is Who in the heaven is Allah, and in the earth Allah. He is the Wise, the Knower. SHAKIR: And He it is Who is Allah in the heavens and Allah in the earth; and He is the Wise, the Knowing. YUSUFALI: And blessed is He to Whom belongs the dominion of the heavens and the earth, and all between them: with Him is the Knowledge of the Hour (of Judgment): and to Him shall ye be brought back. PICKTHAL: And blessed be He unto Whom belongeth the Sovereignty of the heavens and the earth and all that is between them, and with Whom is knowledge of the Hour, and unto Whom ye will be returned. SHAKIR: And blessed is He Whose is the kingdom of the heavens and the earth and what is between them, and with Him is the knowledge of the hour, and to Him shall you be brought back. YUSUFALI: And those whom they invoke besides Allah have no power of intercession;- only he who bears witness to the Truth, and they know (him). PICKTHAL: And those unto whom they cry instead of Him possess no power of intercession, saving him who beareth witness unto the Truth knowingly. SHAKIR: And those whom they call upon besides Him have no authority for intercession, but he who bears witness of the truth and they know (him). YUSUFALI: If thou ask them, who created them, they will certainly say, Allah: How then are they deluded away (from the Truth)? PICKTHAL: And if thou ask them who created them, they will surely say: Allah. How then are they turned away? SHAKIR: And if you should ask them who created them, they would certainly say: Allah. Whence are they then turned back? YUSUFALI: (Allah has knowledge) of the (Prophet's) cry, "O my Lord! Truly these are people who will not believe!" PICKTHAL: And he saith: O my Lord! Lo! these are a folk who believe not. SHAKIR: Consider his cry: O my Lord! surely they are a people who do not believe. YUSUFALI: But turn away from them, and say "Peace!" But soon shall they know! PICKTHAL: Then bear with them (O Muhammad) and say: Peace. But they will come to know. SHAKIR: So turn away from them and say, Peace, for they shall soon come to know.